The Lambda Omega chapter of Alpha Kappa Alpha Sorority, Incorporated was chartered in Newport News, Virginia on January 13, 1934. 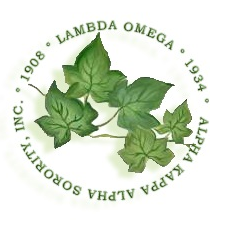 Lambda Omega is the channel through which each member can improve educational, social, cultural, and economic conditions on the Virginia Peninsula. We continue to perpetuate the ideals and principles of Alpha Kappa Alpha Sorority and contributes thousands of dollars annually to community service projects for educational and cultural development. Through the years, Lambda Omega has maintained an annual membership of more than 100 women.The initial focus and commitment of Lambda Omega Chapter were to play a constructive role in advocating and implementing the goals and objectives of the National organization; supporting community projects; sponsoring college scholarships for deserving high school seniors; participating in voter registration; implementing volunteer services; and offering financial support to local and national agencies. Through the years, the Chapter has hosted several Mid-Atlantic Regional Conferences, Founders’ Day Ceremonies, and Tidewater Cluster Meetings. Lambda Omega also has sponsored health and empowerment fairs, educational programs, seminars, and workshops for members and the community-at- large. 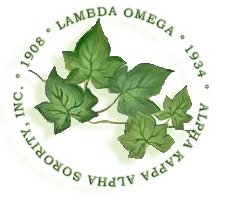 Over the years, Lambda Omega Chapter has been involved in a myriad of programs and activities–all aspiring to promote the ideals of service to mankind. Lambda Omega continues the tradition as our membership continues to grow and expand our service programs to increase the number and scope of our endeavors.